Boccia is an inclusive sport that can be tailored to suit children and adults of all abilities. The game is played from a seated position and is played with small leather balls. A game consists of two teams of 3 players who each receive two red or blue boccia balls to play each end. Boccia has some similarities with indoor bowls, the aim of the game is for each team to propel and land their Boccia balls closer to the white jack than their opposing team. 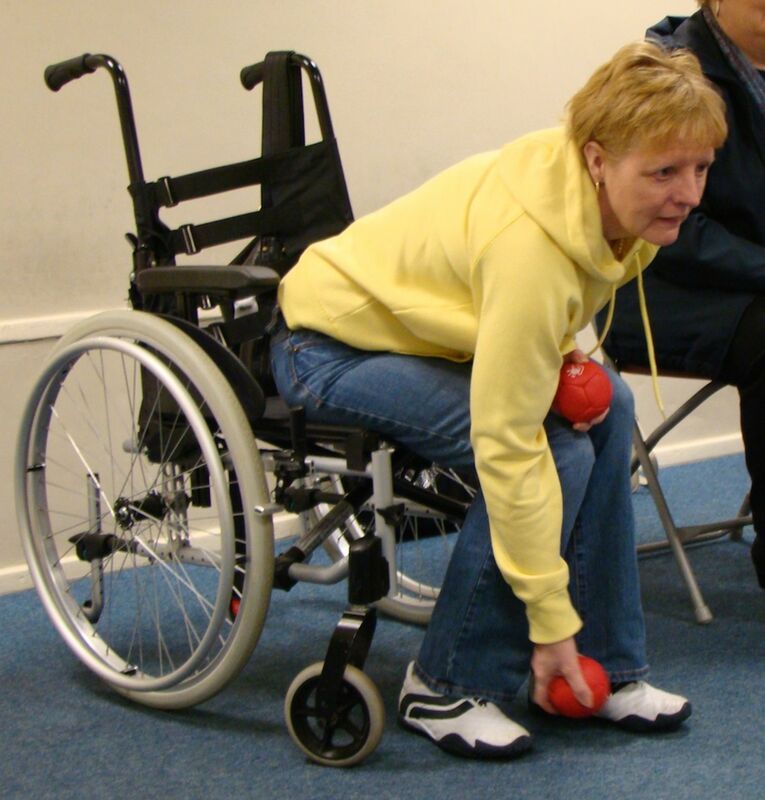 Boccia is a great way of getting people active, while adding a little competitive edge when playing games. Weekly sessions of Boccia takes place in Andersonstown LC, Skipperstone CC, Bangor and Connswater C&L on Thursdays and is a very popular activity with our service users. Before I came to Jigsaw NI, I had never heard of the game Boccia. I now play it on a weekly basis and love it. We all get on so well within the group, the banter is good and the games can get quite competitive, but the session is always fun!